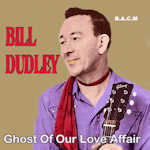 This collection gathers the best of Bill Dudley, from his earliest singles for Capitol to later recordings for the Todd, Top Rank and Nashville labels. A good solid no-frills honky tonk singer, who took up the guitar whilst serving in WWII before joining Gene Hayes’ band and then forming his own group as “The Dixie Boy & the Happy Valley Gang” in the late ‘40s. His recording career began with his Capitol signing in 1953 when he was one of many Hank Williams soundalikes, later developing his own distinctive sound. He was a regular on the big star tours through the 1950s appearing alongside the likes of Ernest Tubb and Roy Acuff. He never made the big time but deserves a listen; a good hour of good authentic stripped-down country, tracks never previously available on CD.